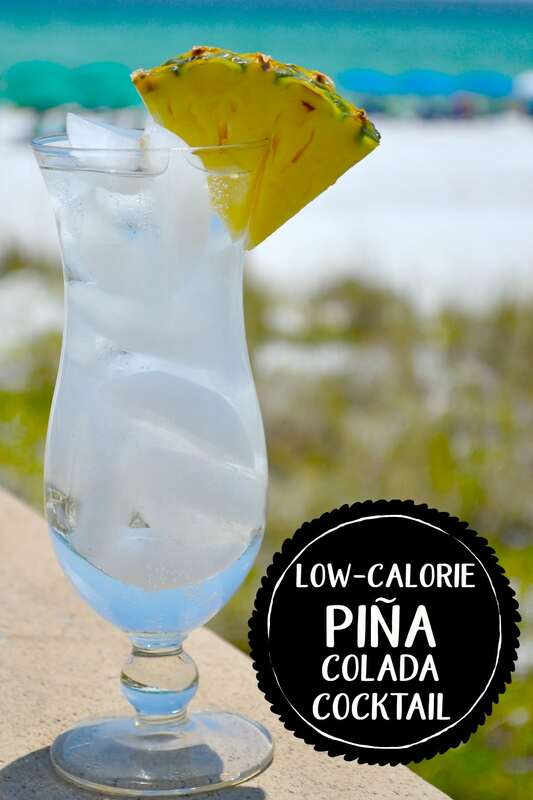 This low calorie pina colada is a light and refreshing twist on a traditional pina colada recipe. Plus, it only requires two simple ingredients! Last year, I shared a favorite 2-ingredient summer cocktail: iced tea and peach vodka. Since that easy recipe was a hit, I wanted to come up with a new simple, summer cocktail for this year. Nothing says summer like a pina colada. It’s the ultimate tropical flavor combination that transports you to the beach, even if you’re just sitting on your living room couch. A pina colada is ocean waves, toes in the sand, a big straw hat, and a reggae band playing in the background. It’s a vacation in a glass. BUT, even though I love the flavors of a pina colada during the summer, most traditional pina colada recipes are just too heavy and rich for me. I don’t want a dessert…just something refreshing to sip while I’m poolside or beachside. 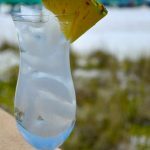 With that in mind, I set out to create a low calorie cocktail recipe that would capture the flavors and tropical essence of a pina colada without the coconut cream and added sugar. Our recent beach vacation was the perfect opportunity to experiment. When it comes to making a light cocktail, my favorite combination is flavored sparkling water and vodka — either plain or flavored. 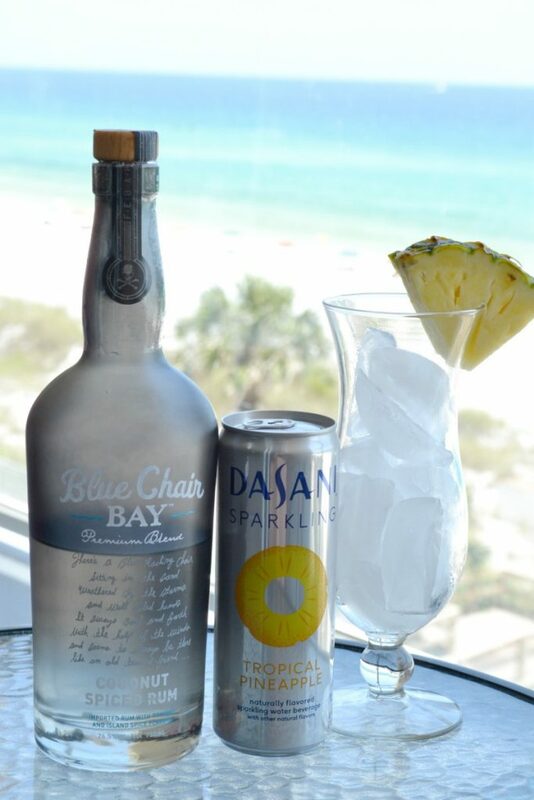 I saw that Dasani came out with a new pineapple flavored sparkling water, and I just knew it would play a starring role in my new cocktail. At first I tried mixing it with some coconut flavored vodka, but it wasn’t quite what I had in mind. I added some coconut spiced rum instead and I finally had my winning combination. Two simple ingredients create a flavorful, refreshing and low calorie take on the pina colada. Pour one shot of rum into a glass filled with ice. Top off with pineapple sparkling water. Garnish with a pineapple wedge. **I think this drink is perfectly sweetened as is, but if you'd like it a little sweeter, you can add some pineapple juice. « Is a Simple Summer a Thing of the Past?